There are no easy steps to anger management. It takes a lot of practice, realization, and is a constant process to make yourself better. You will falter sometimes but being mindful and having a constant desire to make yourself better will ensure you become better at anger management. 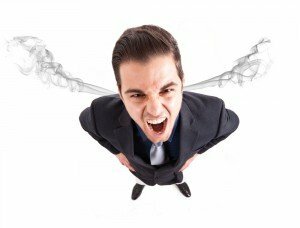 The steps to anger management mentioned here will take some effort but I have personally used these steps to improve my own outburst of anger and have also seen people around me practice these to some success. The important thing is to allow yourself time to be better each small step of the way. What are the steps to anger management? First and foremost, you must realize that there is nothing positive in being angry. You often hear of people saying that it is OK to vent your anger and let it out. But letting anger out or venting it just feeds anger more as you are focused on it. To douse the fire of anger is not to feed it. Realize you are angry and know there is nothing positive by being angry. Anger is a sensation. Often it is a sensation we feel when we think we are right and we have been wronged, or for a myriad of other reasons. When you realize that it is a sensation then you know there is something you can do about it. It’s not something uncontrollable. If you feel cold, you look for something to keep you warm. When you feel anger, you look for patience to keep you from feeling angry. This is an important step in steps to anger management. Patience is one of the best antidotes for anger. When you know you are angry, take deep breaths and step away. It allows your mind to clear. This is where the second step to anger management is important. You need to recognize the sensation and then step away. As you realize more, you will be more mindful. Thus take the step to breathe, walk away or take your time to restrain yourself from reacting with anger. Often times, you feel anger because you feel you are right, and this feeling makes you angry even faster. Understand that you feed your anger that way, you justify, and you find reasons why you are right to feel angry. You make yourself angry, no one else can - no matter what is the trigger, whether you are right or wrong. If you are right, correcting that perception need not be in an angry manner. It is better to take a deep breath, walk away, and come back to clarify it. If you walk away and know that you are maybe at fault, then it gives you an opportunity to improve yourself. Try this as your steps to anger management - observe your own actions and that of others without judgment. Detach from your own ego and the need to be correct and the ‘winning’ party. When you detached from the situation and are objective, you will usually find a better solution than to feed your own anger. “Holding on to anger is like grasping a hot coal with the intent of throwing it at someone else; you are the one who gets burned.” – The Buddha. One way to be better at handling anger each time it happens is - it allows you to contemplate on patience. Think about the effects of anger, what it does to your relationships, your job and even your own mental well-being. When you have mindfulness of its effects you will begin to moderate anger each time you feel its sensations.